Perhaps you find that you are curious about wearing kilts but are not too eager to throw on a traditionally styled one quite yet. The Ferguson Tartan colors are green, navy blue, black, red and white. You want a kilt that is more casual, able to be worn around town or with a semi-dress. 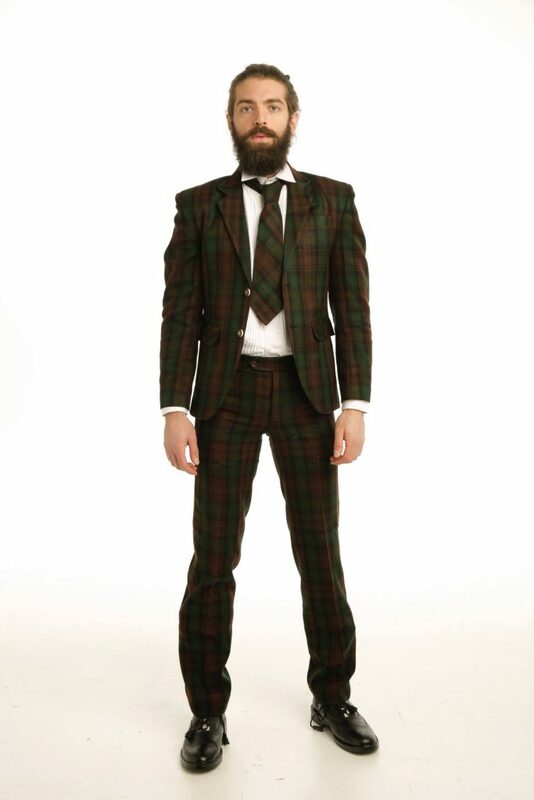 you aren’t ready to fully commit to a classic kilt, and with the Ferguson Tartan Kilt, you don’t have to. 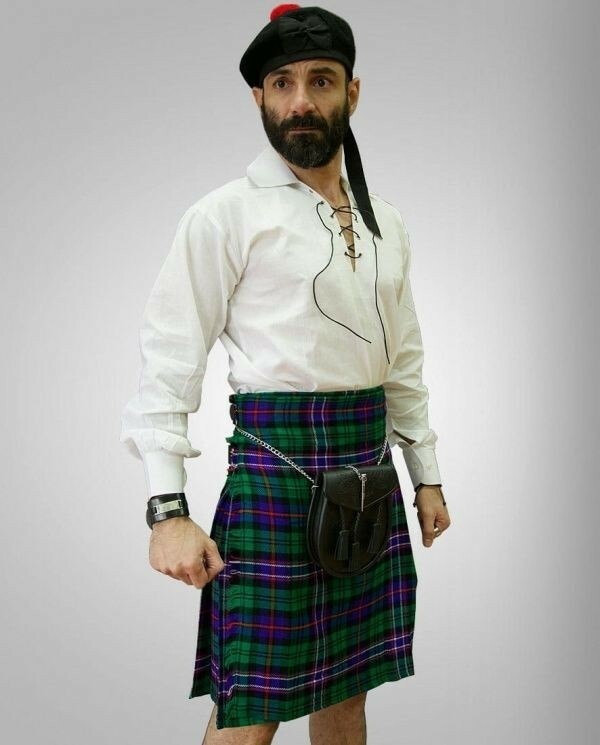 This contemporary kilt looks great with any sort of attire. It features eye-catching bright lavender stripes that seem to jump right out of the kilt. 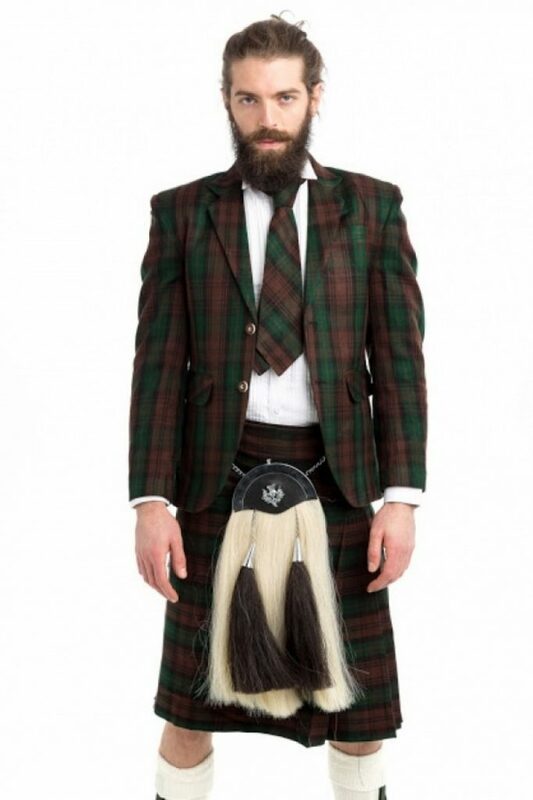 This made-to-measure kilt is pleated down one side and has an adjustable strap for your comfort. Rust-resistant buckles are included for the attachment of a sporran and other accessories. Ferguson Tartan Kilt is made out of the finest quality acrylic wool. The Ferguson tartan colors are green, navy blue, black, red and white. you aren't ready to fully commit to a classic kilt, and with the Ferguson Tartan Kilt, you don't have to.